Katie here with a card to share with you today featuring the adorable Windmill stamp set. 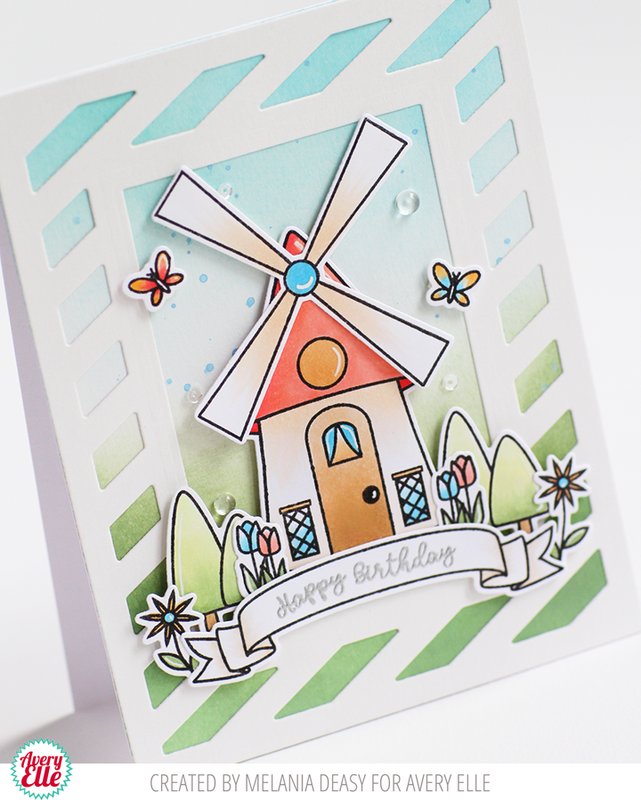 The Windmill stamp set reminds me of the Netherlands, and the Netherlands remind me of Delft Blue China and Ceramics. Check out this sweet music box- classic Delft. 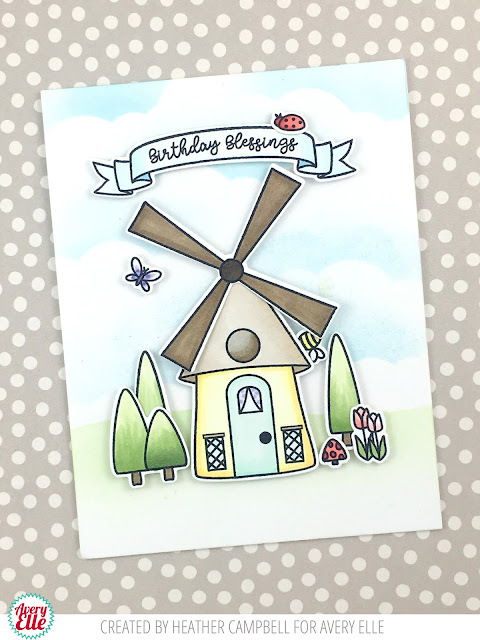 Using Delft Blue ceramics as an inspiration, I stamped and colored my Windmill with lots of moody blue Copic Markers (B21, B23, B24, B26 and B28). 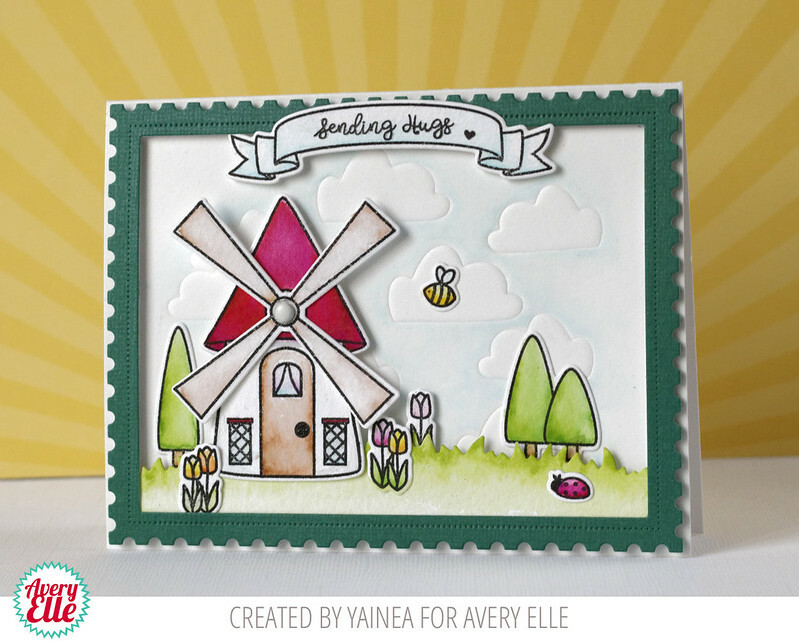 I used the Large Pierced Scallops Elle-ments die to create the frame for the little Dutch Delft scene. 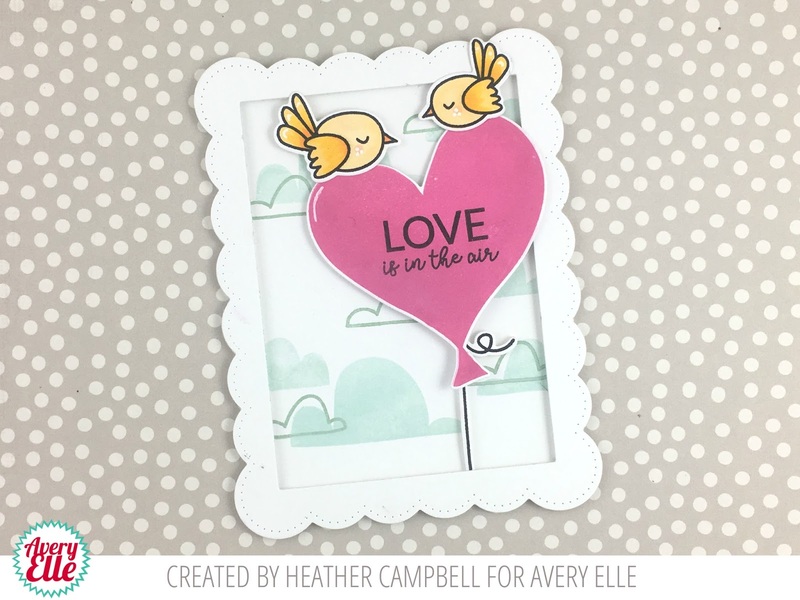 I die cut the frame several times from blue card stock and adhered the layers together. I hope you enjoyed this little Dutch journey. Hi all! It's Deasy here. 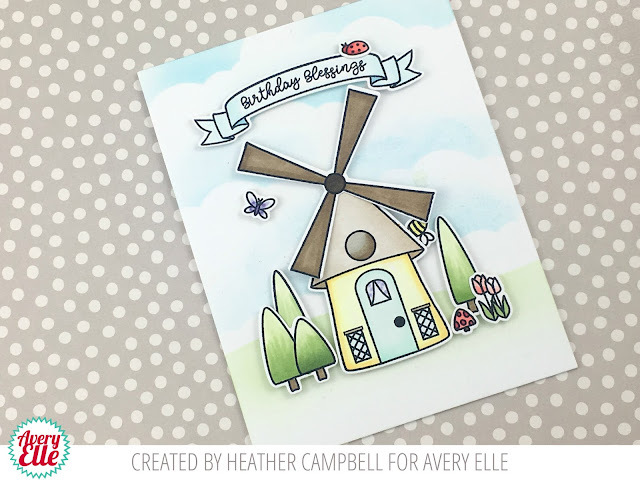 Today I want to share my card for Avery Elle featuring Windmill stamp set. This set is so pretty and versatile for any theme. I have so much fun play with it! 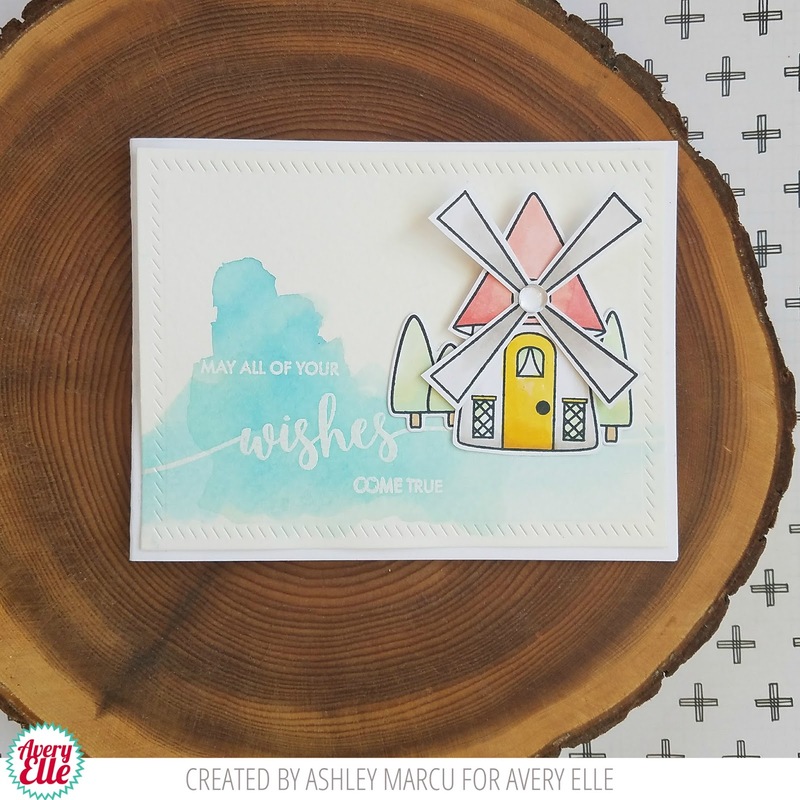 I stamp, color the images using copic then die cut it. 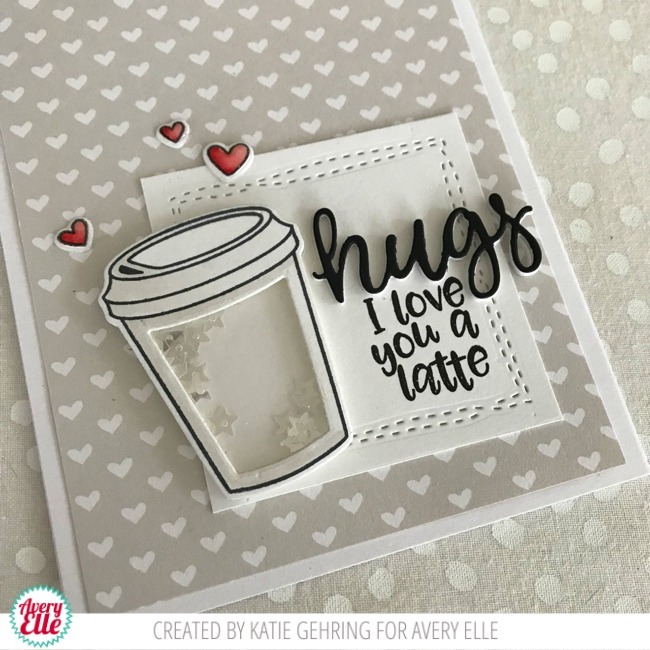 The sentiment is from silver embossing powder. To color the background, I'm using Distress Ink Tumbled Glass and Bundled Sage with blending tool then splash watercolor with my brush. I add some clear sequins and clear droplets for the embellishment. Hello! 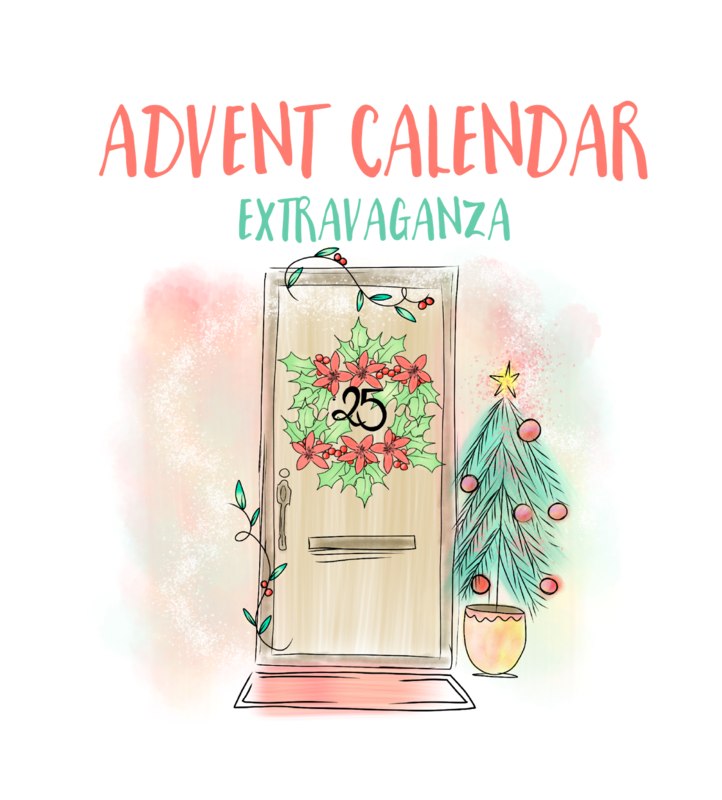 Our friend Taheerah is having an Advent Calendar blog event and we are so happy to be a part of it again this year. I made this fun card for the event! The wreath fits the center circle from our Horizontal Stripes Die Cut perfectly. Don't you love that? 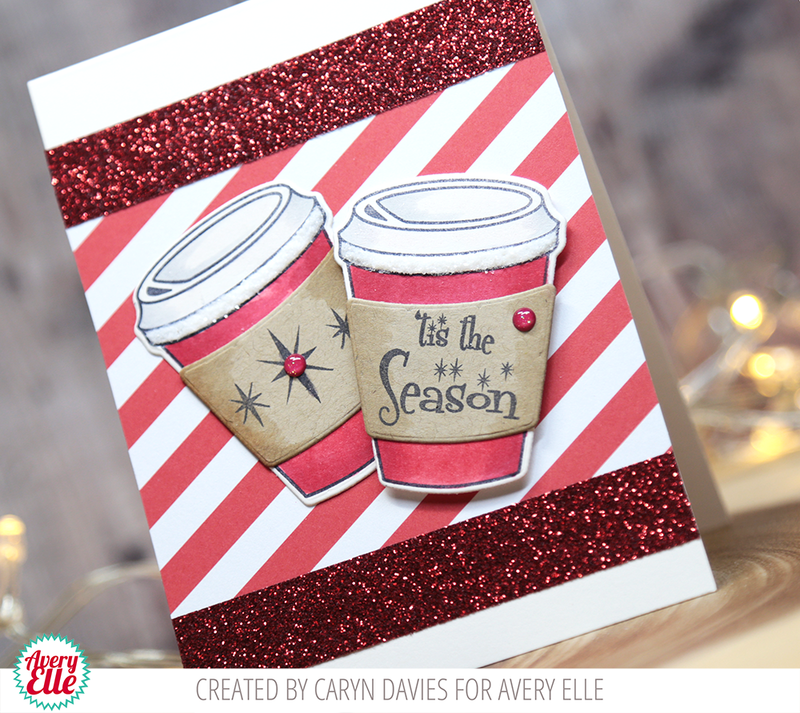 I also trimmed the Horizontal Stripes Die Cut down into a square shape for this card. 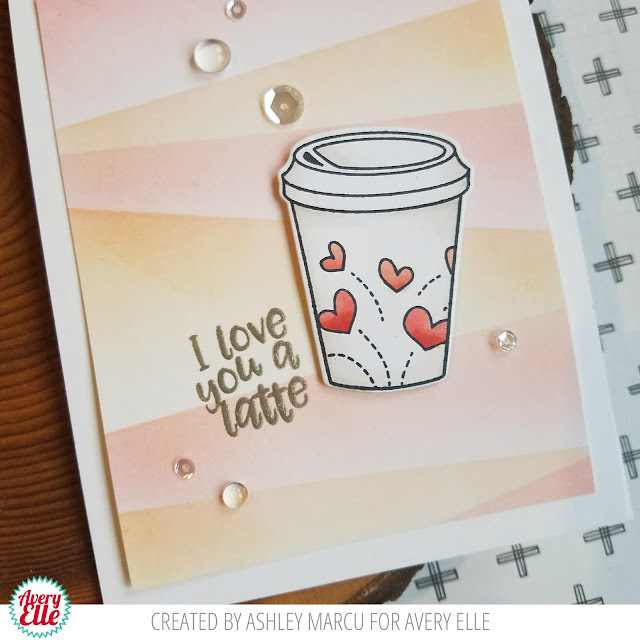 I love being able to customize my die cuts to get more looks out of them! Avery Elle is offering up a $20 gift certificate as a prize so be sure to check out Taheerah's blog for all of the details. There are a lot of prizes and the event runs from Dec 1st through the 25th. Simply leave a comment on this post - then head back to taheerah-atchia.com and leave a comment there too! You must leave a comment on Taheerah’s blog as well as ours in order to be eligible to win! 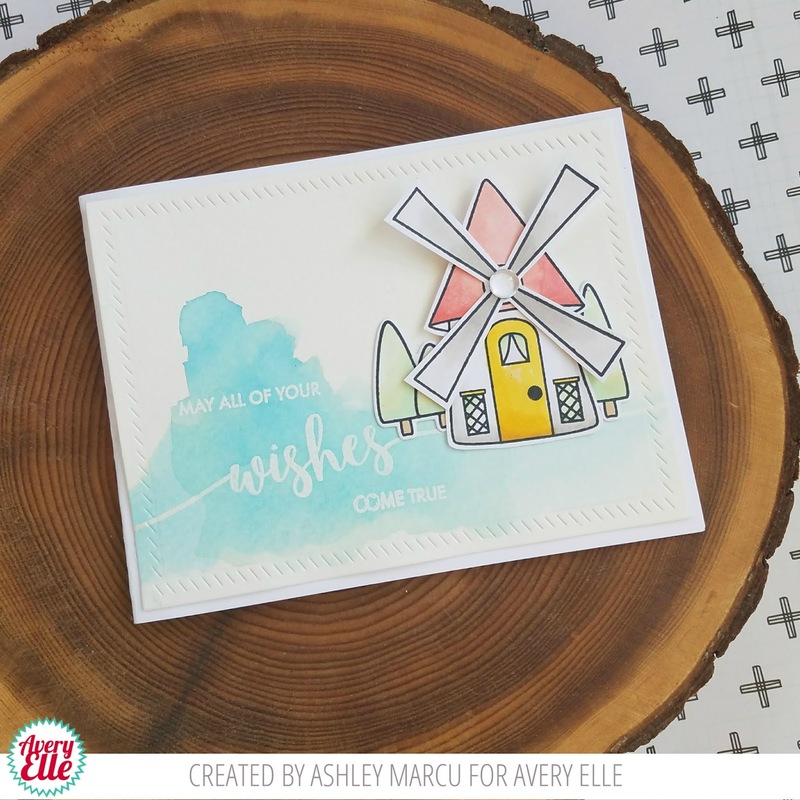 Don’t forget to grab the other surprise destinations from Taheerah’s blog and head over to them to leave comments there as well to improve your odds even more! 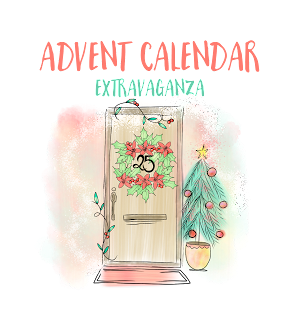 You have until 23:59 EST on 31st December 2017 to enter. Hi Everyone! 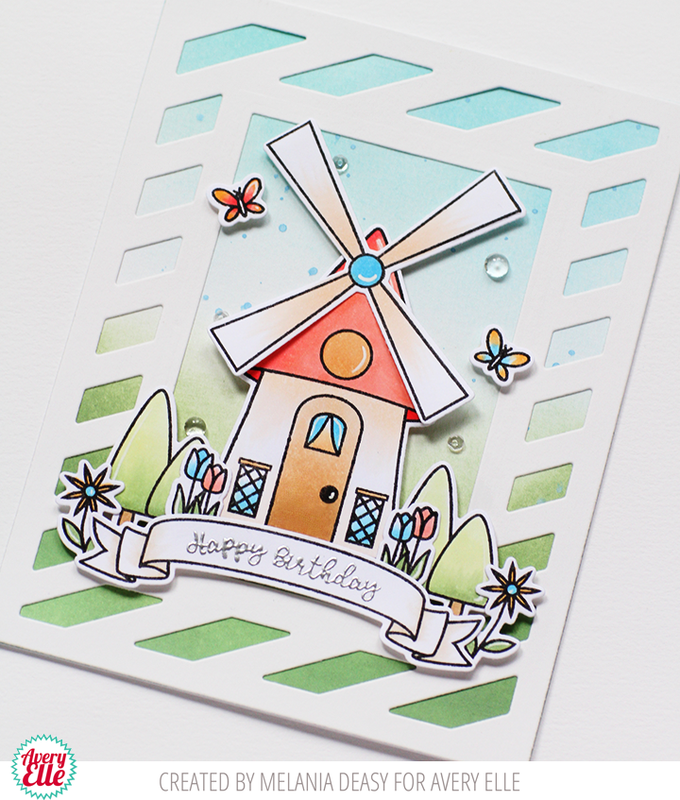 I am popping in with a quick card and video using our new Cool Beans stamp and die set. Check it out! I used the very cool Waves cover plate to add interest to the background. 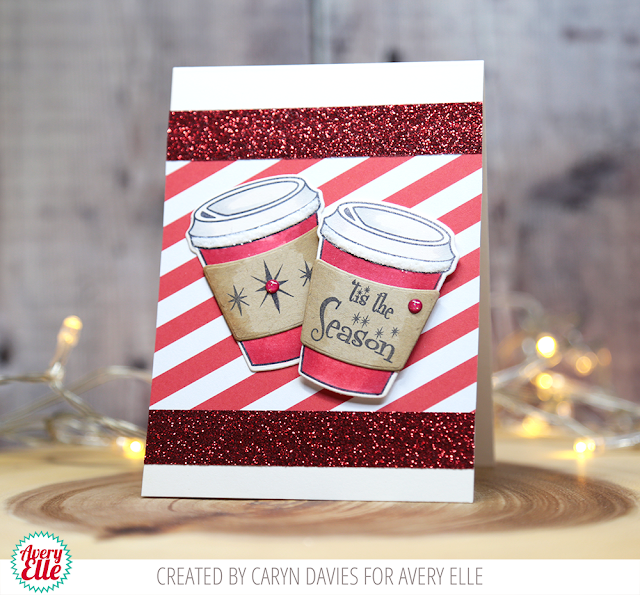 I love how festive it looks in white over the red background! 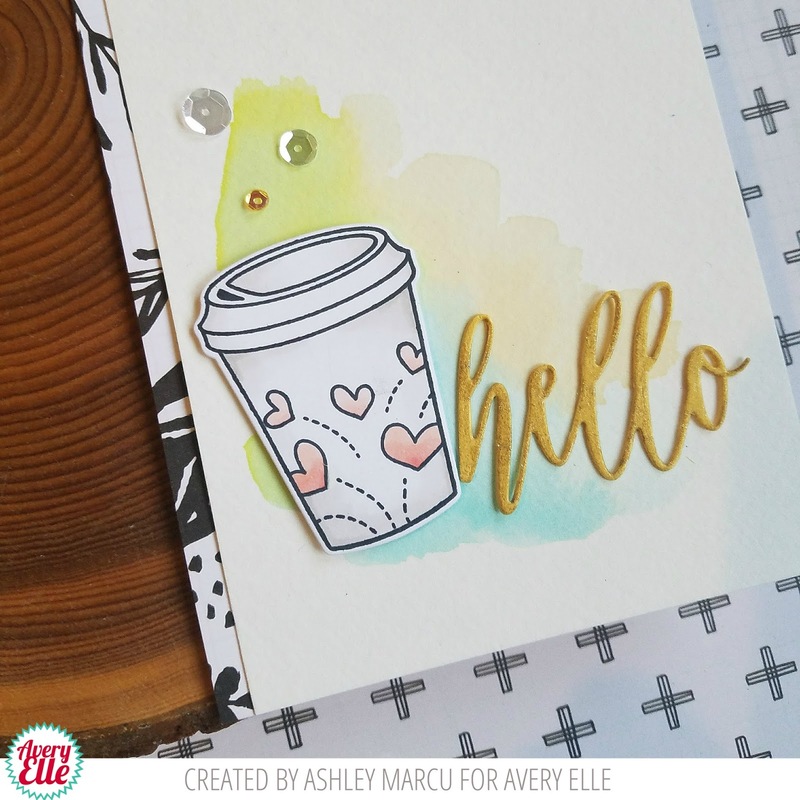 I stamped the balloon from Hats Off - but can you see how the ink at the bottom was wiped away before I stamped it down? 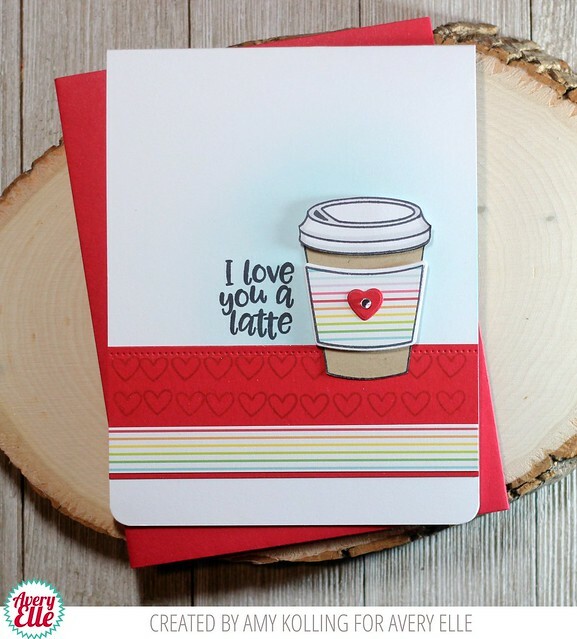 I stamped the heart from City Celebrations in the middle - perfect fit! After die-cutting the balloon, I snipped off the balloon nub and re-drew the missing part of the circle with a copic multiliner pen. 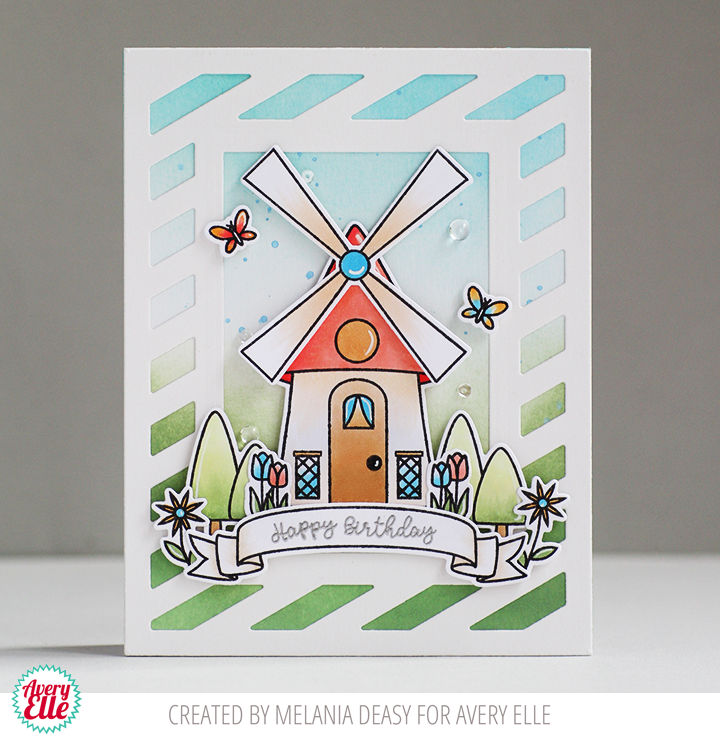 Sometimes getting the look you want is as easy as looking at the stamps in your stash. I colored the cup a vibrant red, and the circle a bright green. 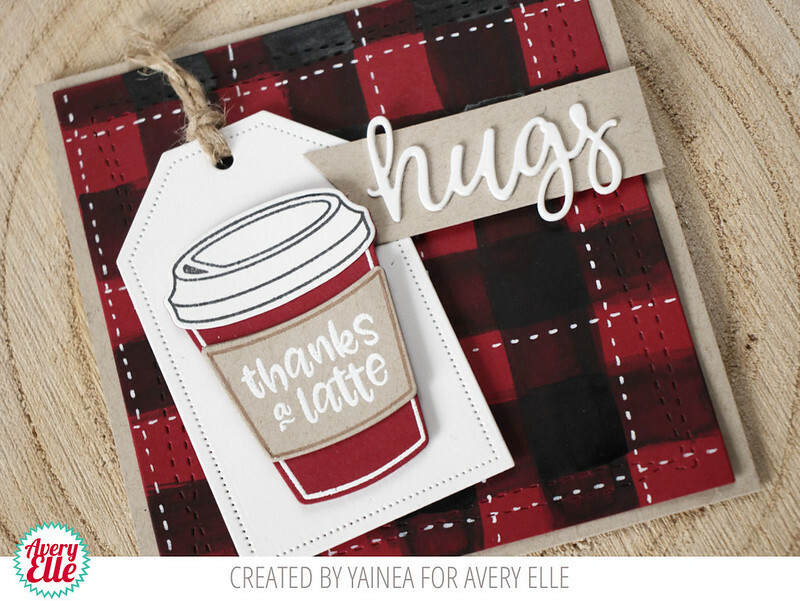 To add some punch, I heat-embossed the sentiment (from Polar Pals) onto a rectangle of black cardstock. I added highlights with a white gel pen to finish things off. Hey everyone! It's Heather here and I'm back sharing a card with the new Love Is In The Air. Oh my gosh I love this set soooo much! Something about clouds just makes me happy! 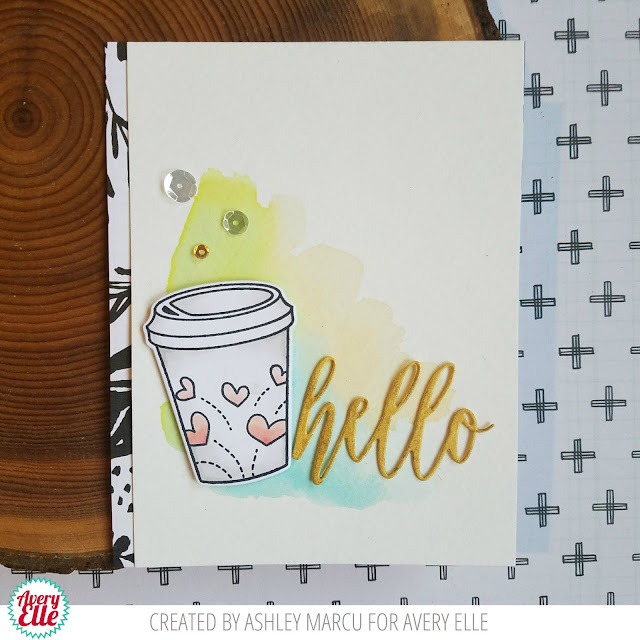 To create my card, I stamped a background using Sea Glass and Mermaid ink. Then I die cut a frame from the Large Pierced Scallops dies and popped my frame up on foam. 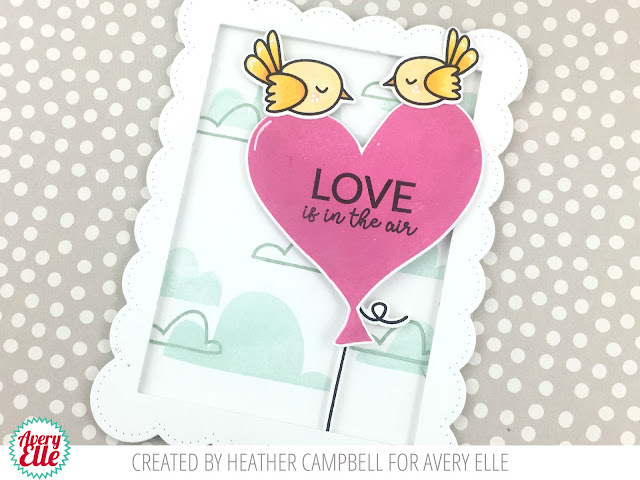 Finally I stamped and die cut the heart balloon and string from Love Is In The Air and then stamped, die cut and colored in the birds to pop them all up on foam. Thanks so much for stopping by and sharing part of your day with us here! Hi Everyone! I'm sharing Otterly Fantastic with you today, one of my favorite sets for the latest release! I decided to bring some holiday spirit to my card today by incorporating Festive Wreath with Otterly Fantastic. 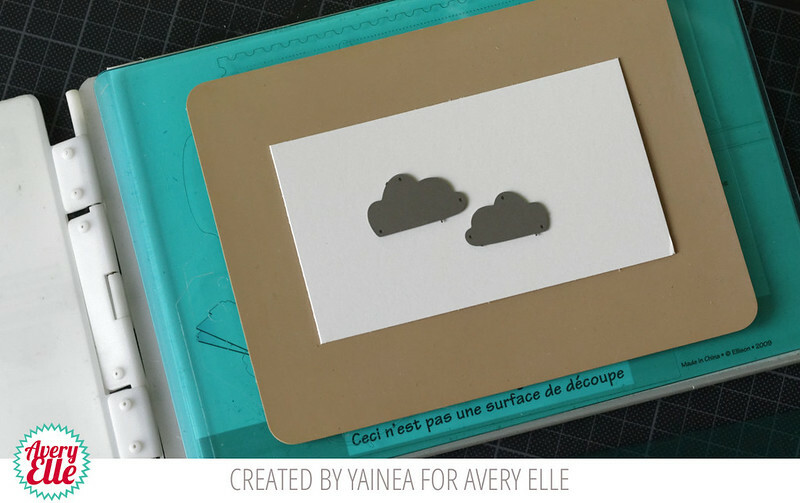 I started by stamping, die cutting and coloring the images for my scene. Next, I blended the back panel with Distress Inks. I created the window with Double Pierced Rectangle Dies. Finally I stamped the sentiment with a blend of words from Otterly Fantastic and Festive Wreath. Hello! 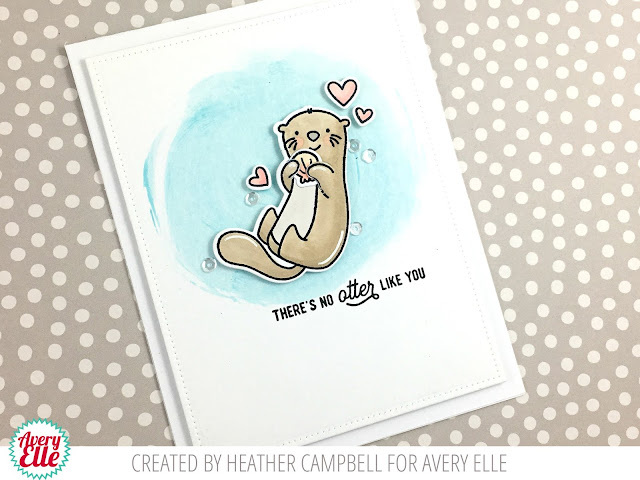 Amy K. here with a card that starts off my Valentine's using the adorable new set called Otterly Fantastic. Since alcohol inks have "come back in style", I used them here to create a water backdrop for my otter. I started my card off with a panel of Yupo paper from Ranger. These inks work best with this type of paper. 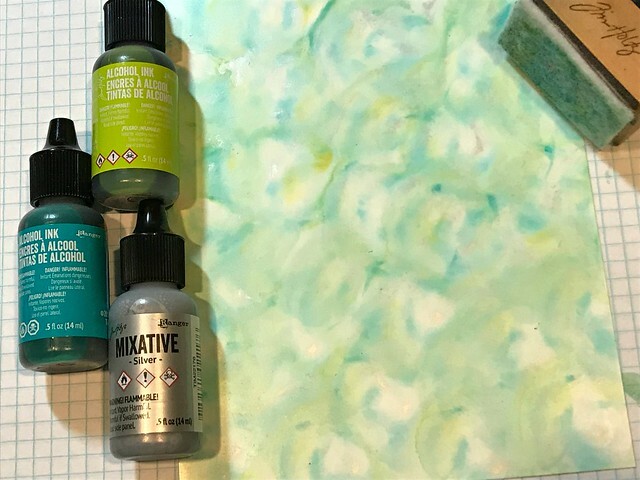 To an applicator, I added a felt pad (different than what we use for ink blending) and added a few, random drops of Mermaid, Citrus, and Silver Mixative. They really only need to be drops as the next step is to add a few drops of Alcohol Blending Solution to the felt pad. To create my background, I used the applicator and simply placed it on the paper, twisted, and lifted off. I repeated this for the entire panel. After letting the panel dry, I used the Wonky Stitches Die to die cut the panel. My otter was Copic colored with E42, E43, E44 and die cut with the coordinating Otterly Fantastic Elle-ments. What I love is that there is a die that cuts the paws so that the otter can "hold" something! 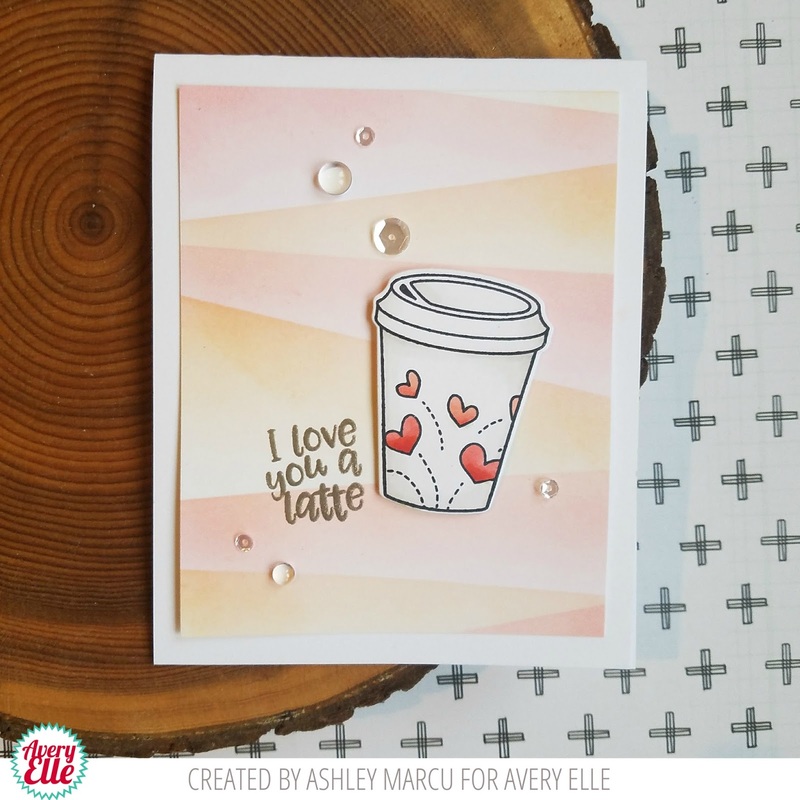 In this case since this is for Valentine's, I used the heart stamp from the set. 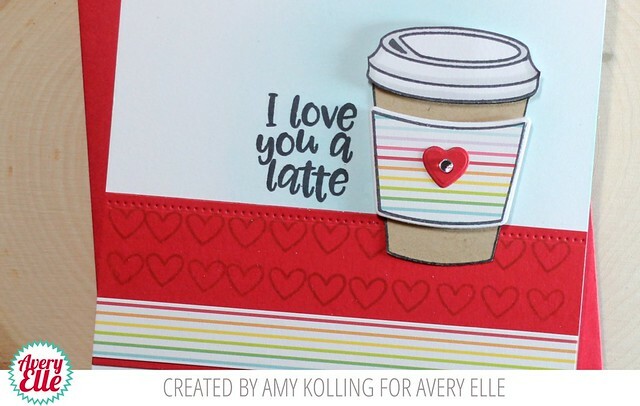 Using Scalloped & Pierced Hearts Elle-ments, I die cut a red heart and white heat embossed the sentiment. After adding the heart to the right side, I added the otter and a few extra hearts. This panel was added to my alcohol ink background created earlier. 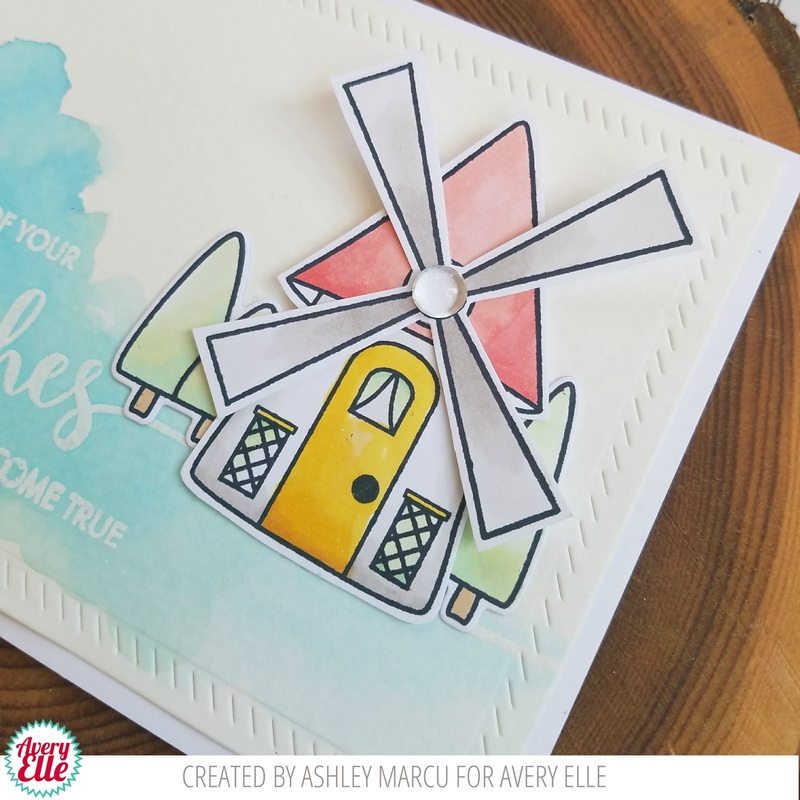 Don't be afraid of trying new things with the alchol inks. I have even "messed up" and simply laid more color down over it. Have fun creating some amazing backgrounds! Hello, hello! 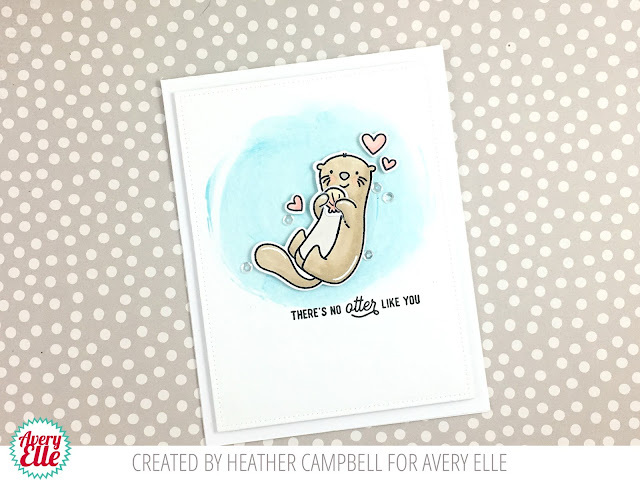 It's Heather Campbell here and I'm utterly excited to be here today sharing my fun otter card and I've even got a video for you today too! Here's the video sharing how this card came together. I also shared my favorite technique for using the die that cuts the otters hands out so he can hold the shell! Super fun and cute. 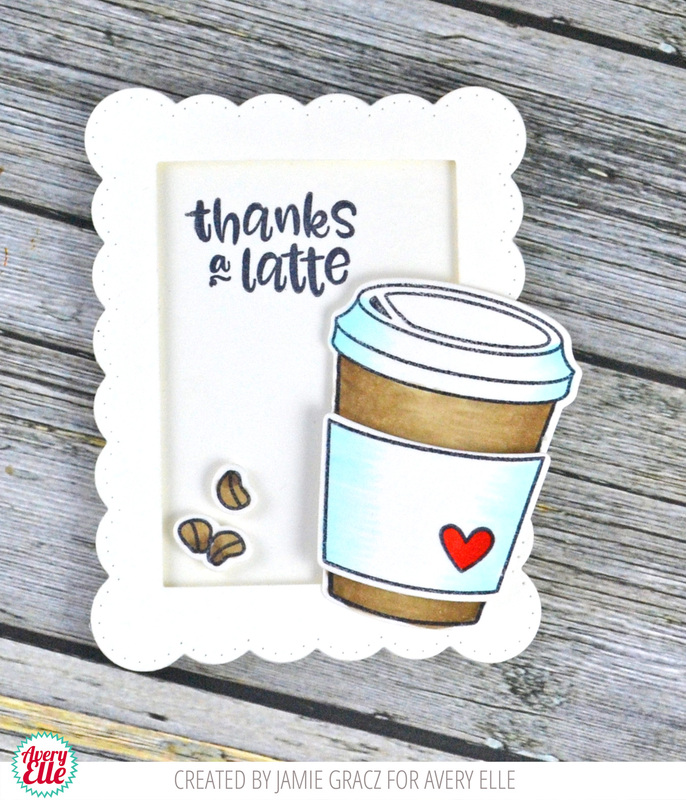 Thanks so much for stopping by and sharing part of your day here! Have a great one!